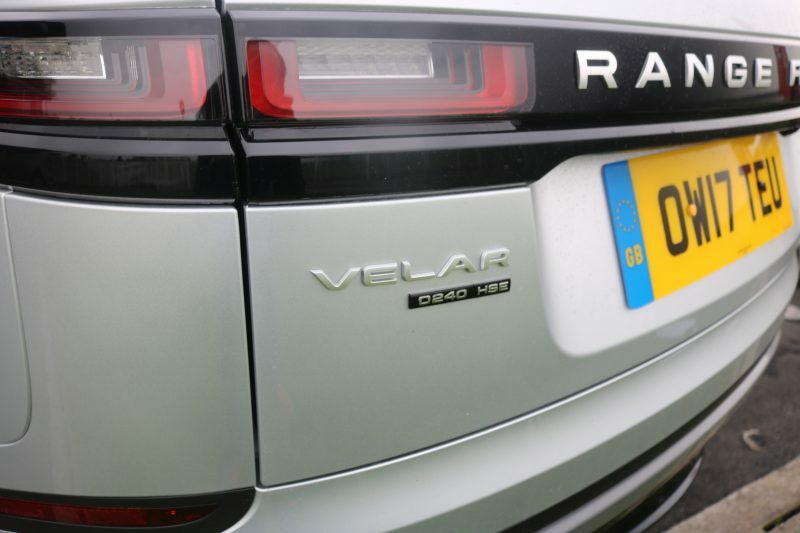 Home Reviews Range Rover Velar First Drive: Ultimate Wafting Machine? 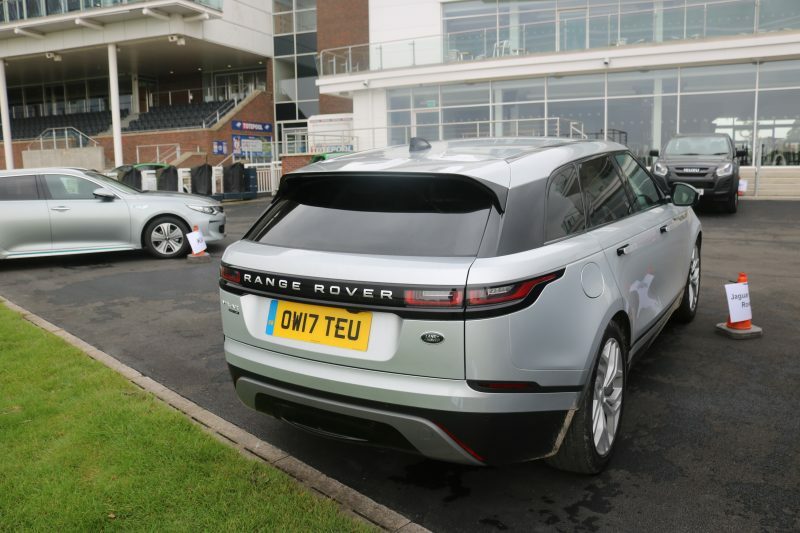 Last week I was very fortunate to have a go in the new Range Rover Velar, an SUV I’ve been curious to try. 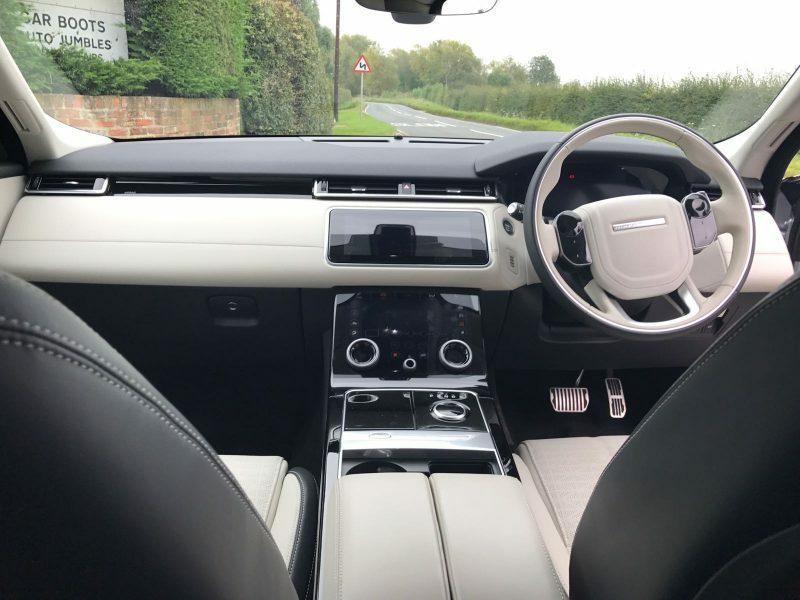 Firstly because it’s brand new, secondly because it one of the most luxurious and tech-filled SUVs money can buy, and lastly, because I’ve never experienced a Range Rover – or a Land Rover for that matter. 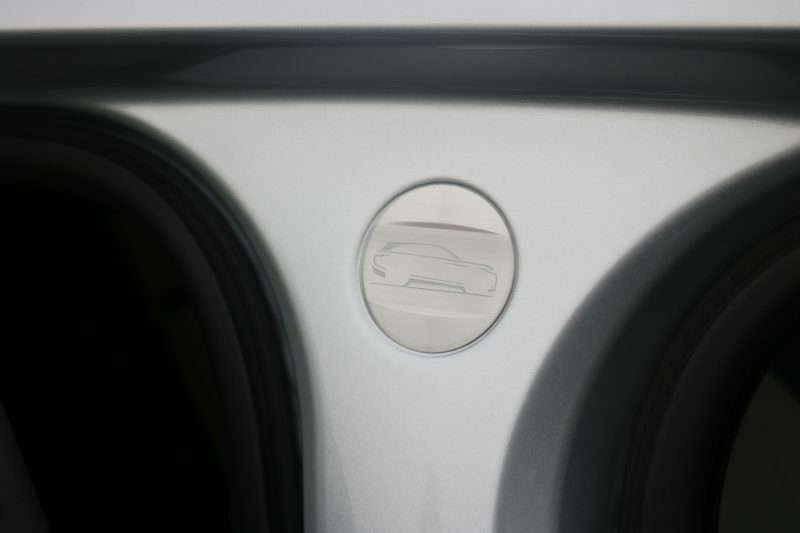 I approach the Velar, and as I do the door handles come out of their cubbyholes and welcome me, beckoning me inside. I step inside and the instant feel of the materials is simply sumptuous. This isn’t just luxurious for a car, this is luxurious full stop. 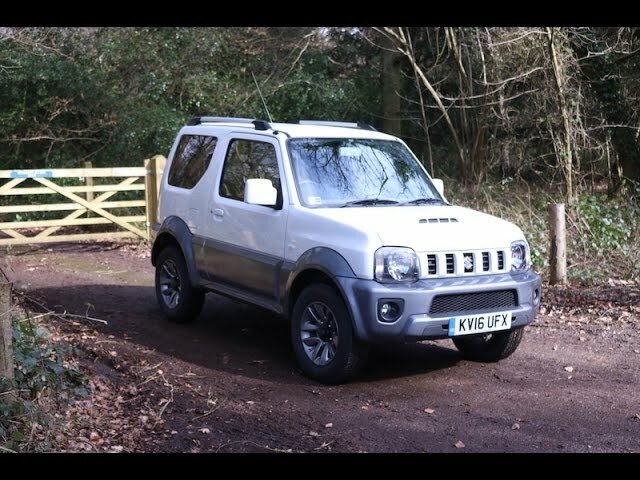 But then again it should be, as the model tested was the range-topping HSE model – with a few options – costing a grand total of £67,700. That is a lot of money, but you do get a lot of car for that. Every surface feels pleasing to the touch and trying to find something that feels nasty is about as pointless as arguing with your own reflection. Yes, there are some plastic towards the bottom of the centre console but they still feel well-made and premium. Plus, you’ll be too dazzled by the technology to even notice. Techiest SUV On The Market? 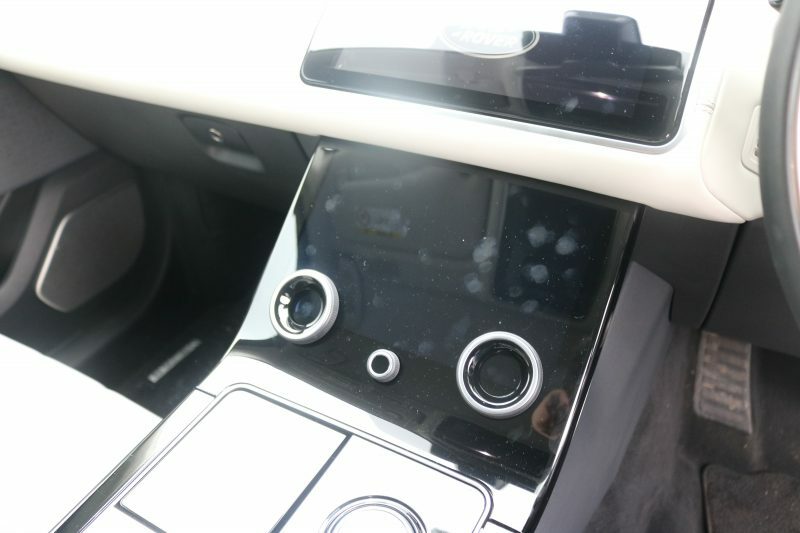 The Velar is simply packed with technology, so much so that all I could really do with my short time with the car was to scratch the surface. There were a total of three displays I could oggle over, one of which tilts out the centre of the dashboard when the ignition has turned. It was at this point where I felt I had really arrived. 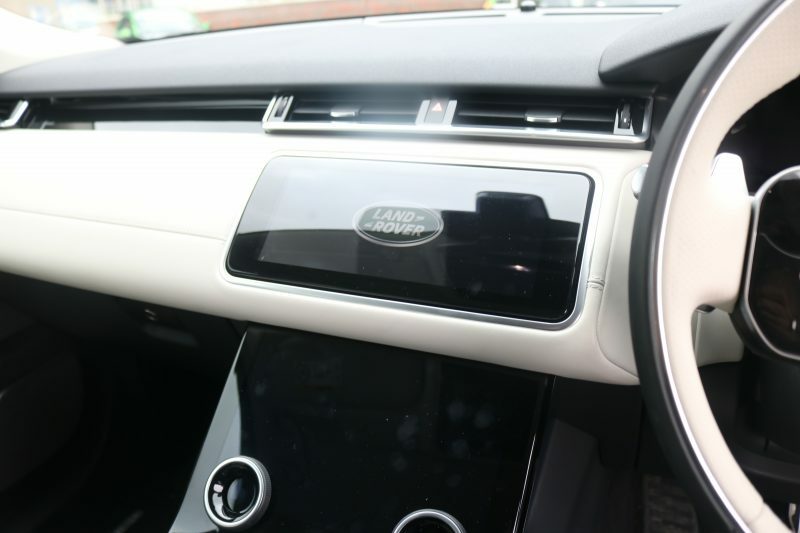 Below is another touchscreen display, which can be used to control a whole plethora of settings including climate control, and in the case of the HSE, massage seats. It doesn’t stop there though, as there is also a digital display in place of a traditional instrument cluster, which all feels very much like Audi’s Virtual Cockpit. This is by now means a bad thing of course. 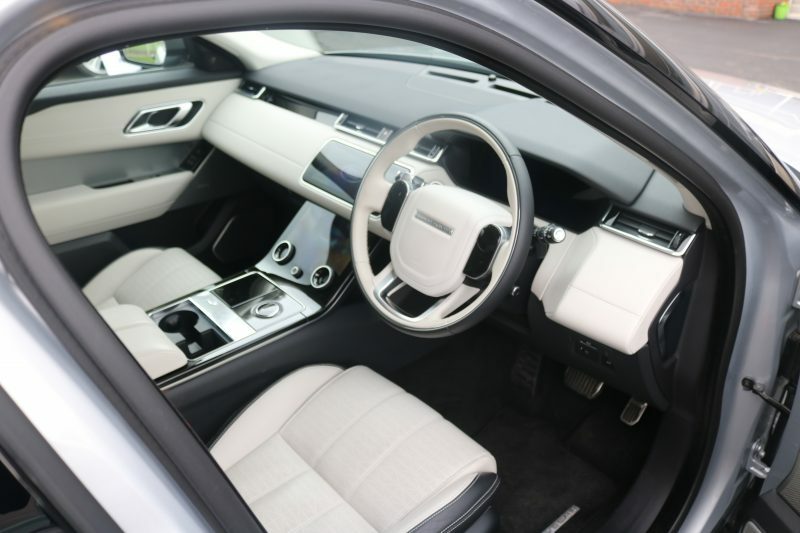 Well the HSE is a fair chunk of money, but it’s not like Range Rover has scrimped on standard features. 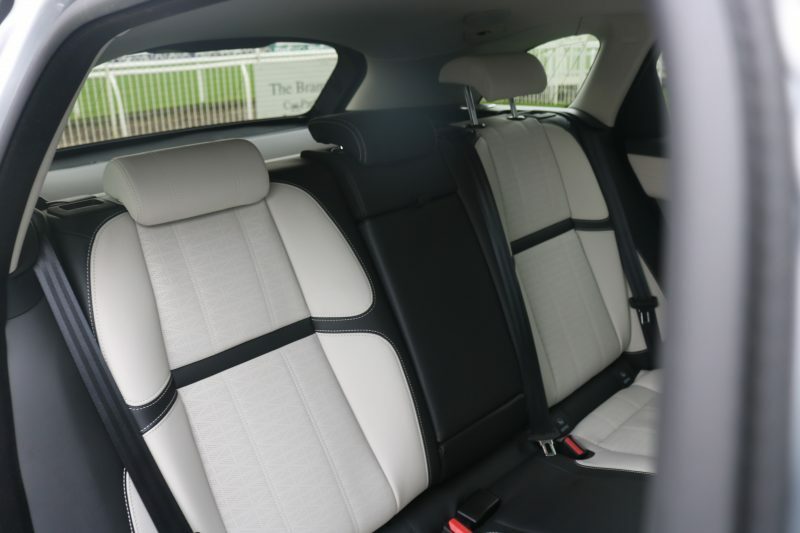 The HSE is at the top of the range and gives standard features such as 21″ alloys, 20-way adjustable driver’s and front passenger’s seats, extended leather upgrade, adaptive cruise control, massaging seats, park assist, lane keep assist as well as other safety features. In fact, the new Velar was recently awarded the 5-star safety rating from Euro NCAP. 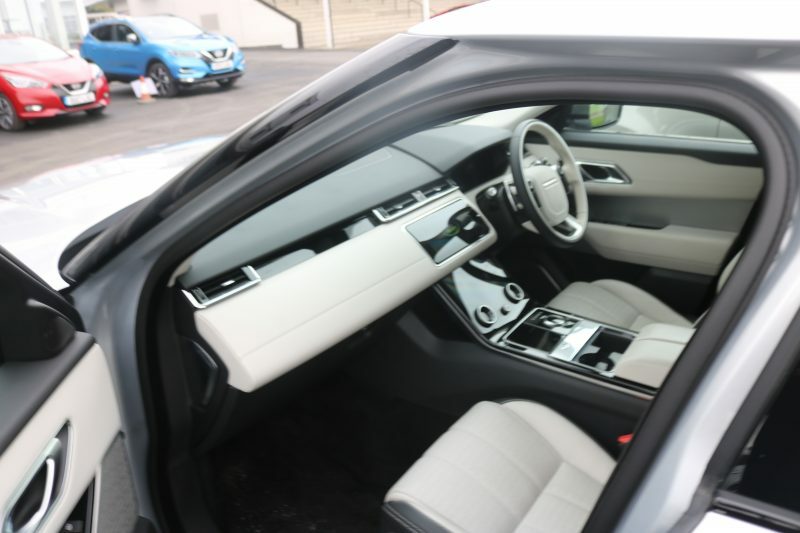 As well as the above, the Velar HSE also comes with navigation, Meridian sound system, matrix LED headlights, climate control, gesture power tailgate, 360º parking aid, keyless entry – frankly the list goes on and on. If the HSE is a bit too rich for your blood then you’ll be glad to hear that the base model starts from under £45,000. Ok, that’s still not a budget car of course, but this is a Range Rover after all. As much I could talk about the tech all day, this is a car after all, so I’d better tell you how it drives. Underneath the imperious bonnet is a 2.0 litre twin turbocharged diesel that is good for 240hp with 500Nm of torque. 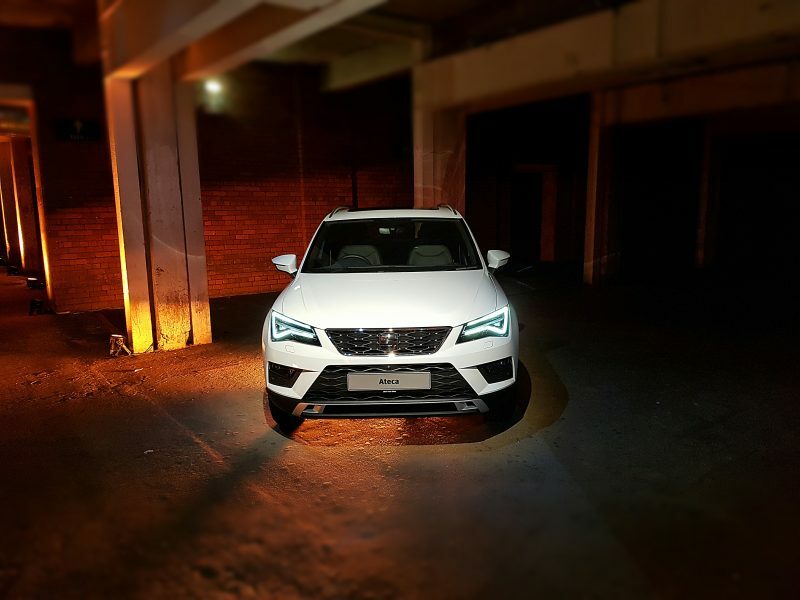 This means that this 1,841kg SUV is able to hit 60mph in a rather eyebrow-raising 6.8 seconds with a top speed of 135mph. Not bad from a 2.0 litre diesel. This power is mated to an 8-speed automatic gearbox and of course, all wheel drive. There is a small delay from the powertrain, but once it gets going it will waft you along with little fuss. This car can certainly make progress – especially in dynamic mode – but you get a sense that this is a car that doesn’t like to be rushed. It feels better being driven at half the pace, cruising along in comfort as you eat up the miles in the luxurious cabin. As you would expect, it’s a lovely place to be, and as I said earlier, it’s very difficult to find any materials that feel nasty. The driving position is one of the most commanding you can get from any SUV, and the car itself feels easy to drive. It doesn’t actually feel like a big car, and it’s not as heavy as you may think either, as this tip the scales at 1,841kg. Going back to the driving modes, you have a choice of Eco, Comfort, Dynamic, plus you’ll have the Terrain Response 2 system at your disposal. That’s right, this car make look too bling to get dirty, but the Velar won’t be afraid to get its hands dirty given the chance. It has standard features such as hill launch assist and hill descent control, plus it’s able to wade up to 650mm of water. That’s good to know if you happen to take the wrong turn in the country as you make your way to a fancy gala ball. Yeah, I know, that’s unlikely, but you never know. 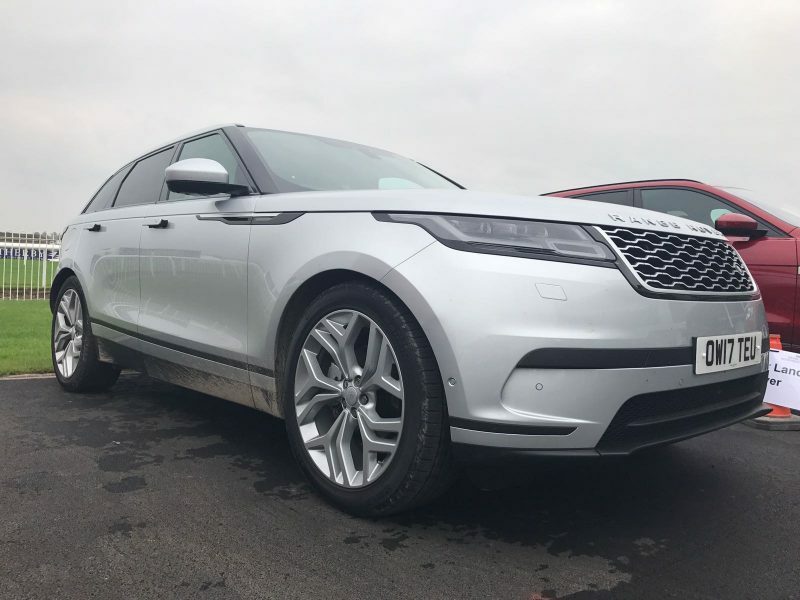 It’s highly likely that a Velar will spend more time on the blacktop rather than the brown, muddy stuff also known as the countryside. On the tarmac the car is wonderful cruiser and there’s plenty of tech to keep you comfortable and entertained. I accidentally stumbled upon the massage seats and my world was it heaven. In fact, at the time of writing I could do with them now, after extended motorway miles in my Mazda MX-5. 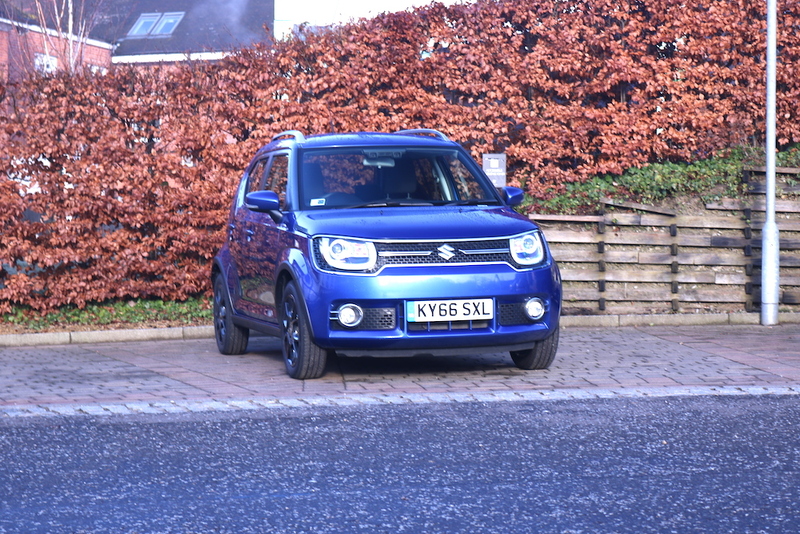 With it being a diesel, you’ll get some decent economy as well – 49.7mpg on a combined run, with 154g/km of CO2 emissions. I feel rather privileged to have had the opportunity to spend a bit of time with the new Range Rover Velar, but it has so much to it that I feel like I only scratched the surface. It has so much tech that I could have easily spent my short time with the car just simply going through the menus. But what I did get from my short drive was the impression that this could well be, the ultimate wafting machine. Previous articleNissan Micra First Drive: As Good As It Looks?